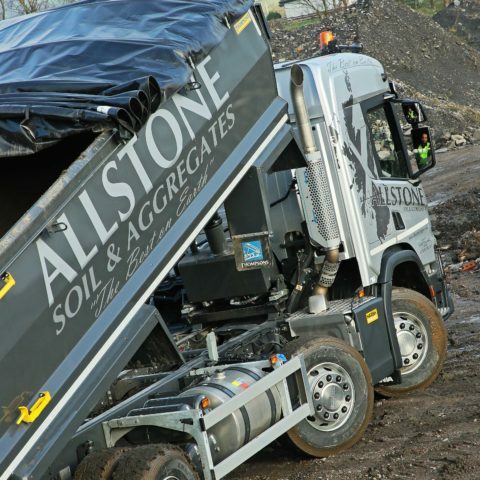 Now supplying up to 250,000 tonnes of topsoil a year, Allstone Glasgow Ltd’s latest tipper has gained a double bonus by being fitted with both a HARSH Slide n’ Cover sheeting system as well as a HARSH lightweight front end tipping gear. 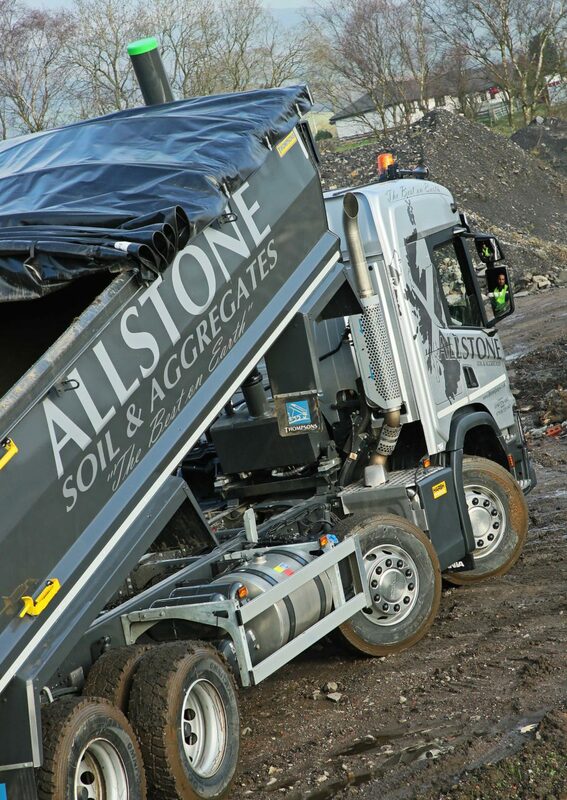 Allstone notes that other advantages of the Slide n’ Cover sheet is that its front to back operation makes loading from either side of the vehicle equally easy with next to zero risk of a shovel damaging the sheet. 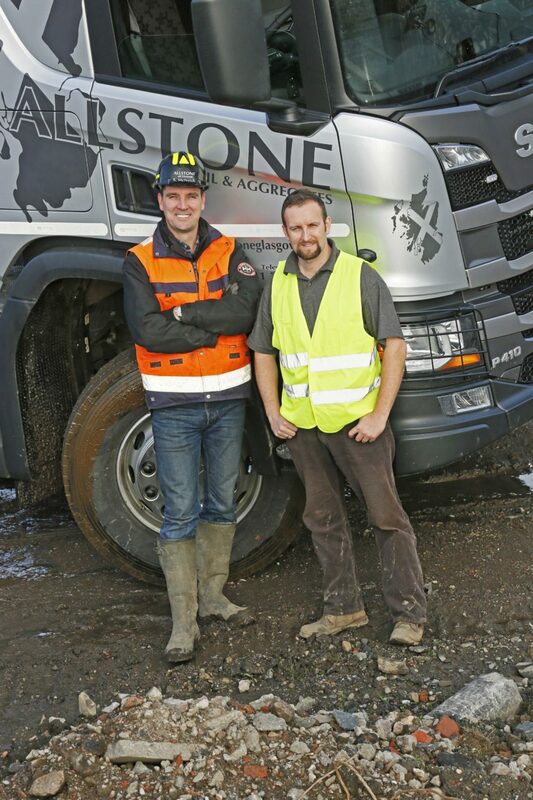 And when traveling with the sheet in the closed position the truck’s aerodynamics are considerably improved, resulting in a small but worthwhile improvement in fuel economy. 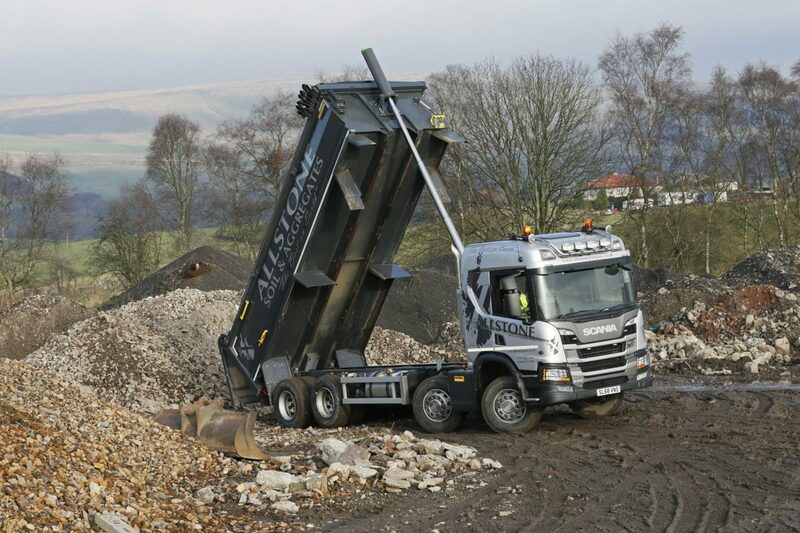 Having used HARSH sheets before, Stewart is also impressed by the company’s backup services too. 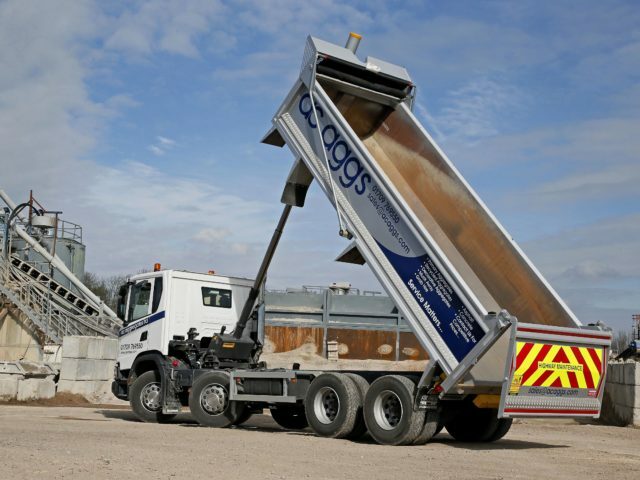 “We had a repair issue with an early HARSH sheet, but their service people got it sorted very quickly and entirely at their own expense. 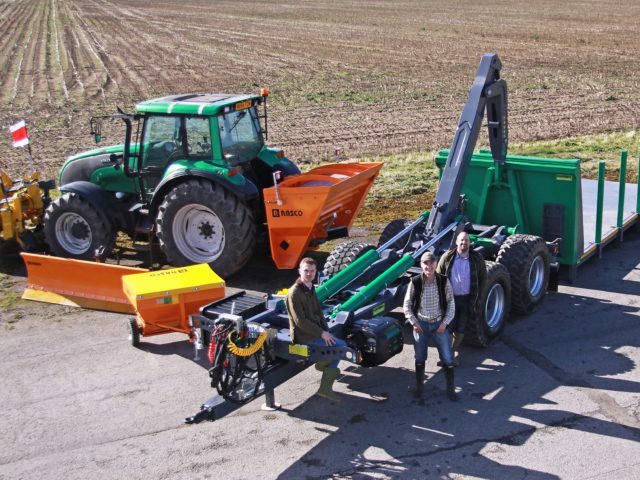 That inspires confidence and trust in the whole HARSH operation” he says. 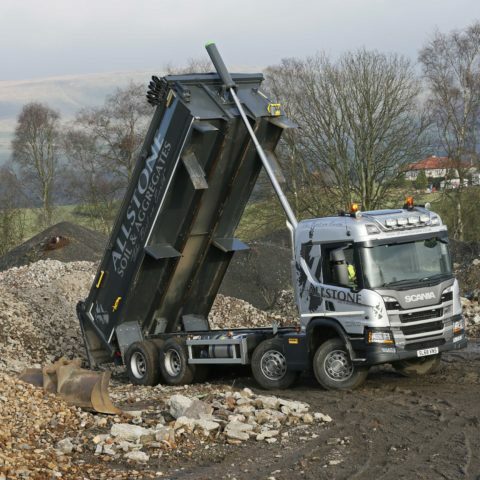 Looking to achieve the optimum balance between payload and performance, Allstone’s new Scania has been specified with the smaller and lighter P cab as well as with a lightweight HARSH combined ram and tank front end tipping cylinder. 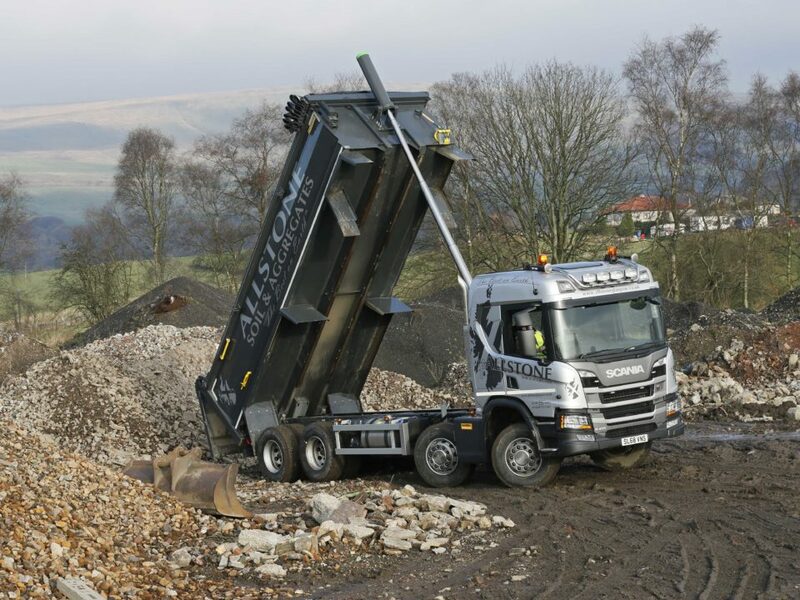 The body is a single skinned all – steel Loadmaster Lite, built locally by Thompsons at their factory outside Edinburgh. 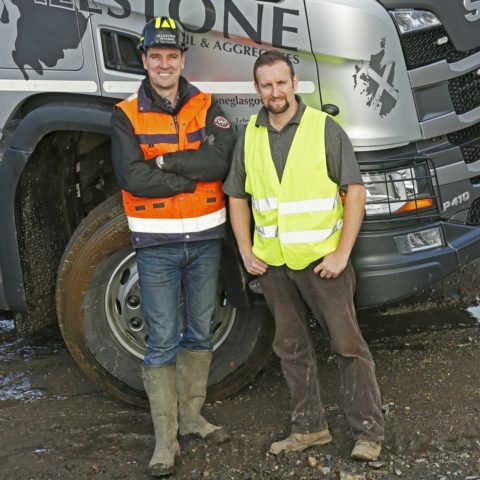 Founded by Stewart and co-owner Gerry Sweeney, Allstone Glasgow Ltd operates out of a 200 acre site at Milton of Campsie, serving a wide range of clients throughout Scotland in the construction, building, landscaping and sports facility industries.